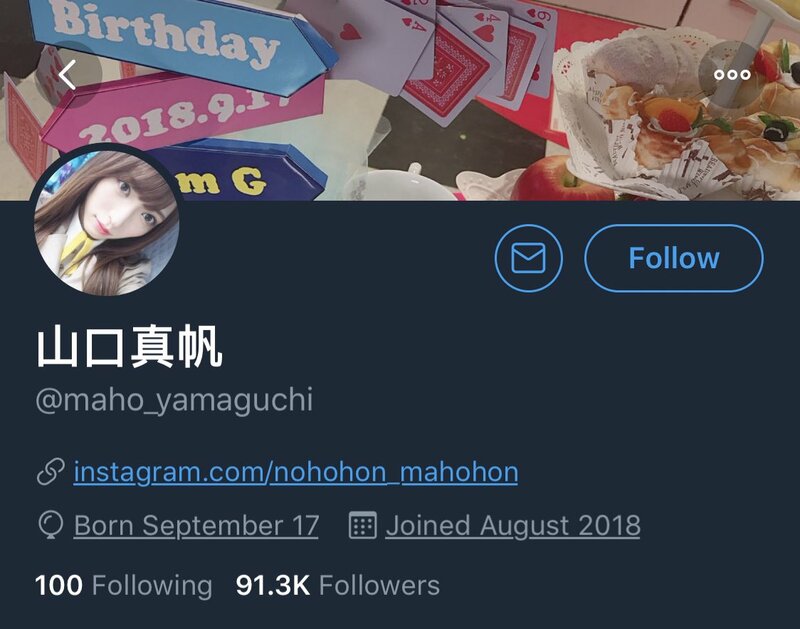 As spread elsewhere Yamaguchi Maho and several other NGT48 members deleted "NGT48" stuff from their social media account (Twitter / Instagram). As of 10:40pm JST, Yamaguchi Maho's Twitter profile no longer says "NGT48." It isn't certain if she removed it herself or it was removed by management. Including Sugahara Riko, Mahohon's closest friend in the group. But the 10 minutes before Yamaguchi Maho's profile changed, a person wrote the following on 5ch. "Four members in Yamaguchi's camp will graduate in June, around sousenkyo, when Sugahara is projected to return. She only had a total of 12 allies. No chance at all." Yet to be confirmed but indicated Yamaguchi Maho graduation is imminent.